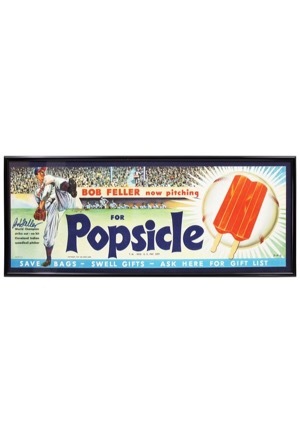 An approximately 21x8.5” framed display piece depicting Bob Feller pitching. 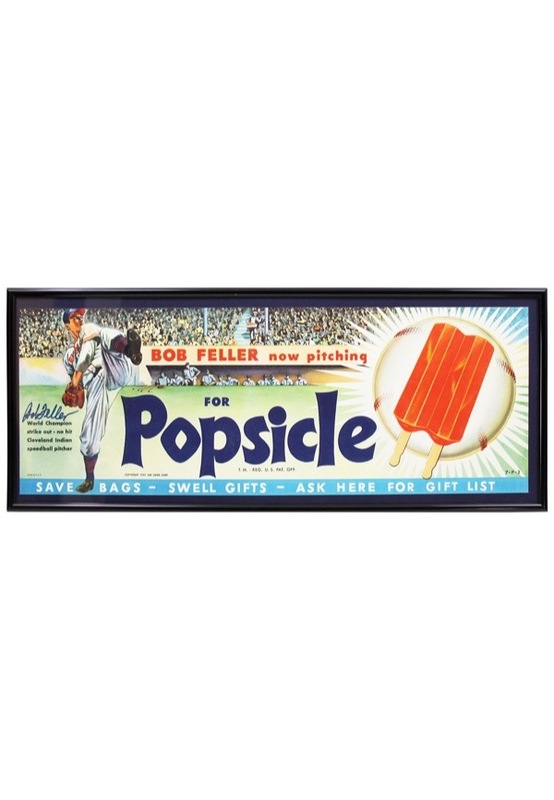 The piece reads “BOB FELLER now pitching for Popsicle”. Feller signed on the left side of the piece in blue marker and in our opinion the signature rates a near 9. Accompanied by a LOA from JSA.